In a Nutshell: Planning a trip abroad can be a daunting undertaking, especially for unseasoned travelers. 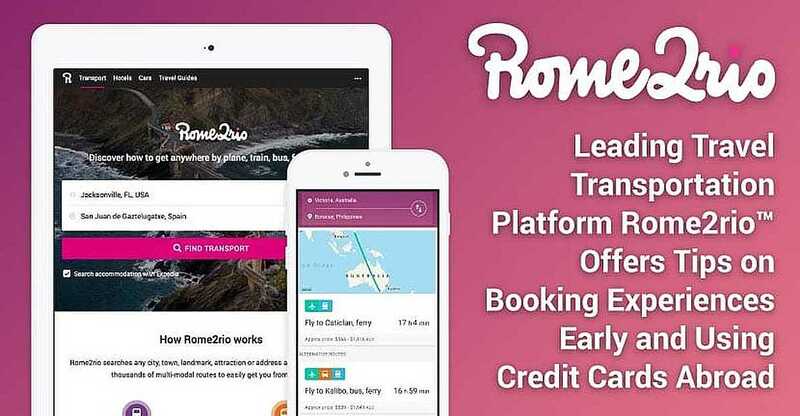 For those who want to see the world but feel intimidated by the prospect of traveling to another country, getting around while there, or just picking a destination, Rome2rio provides key resources to help navigate these tasks. 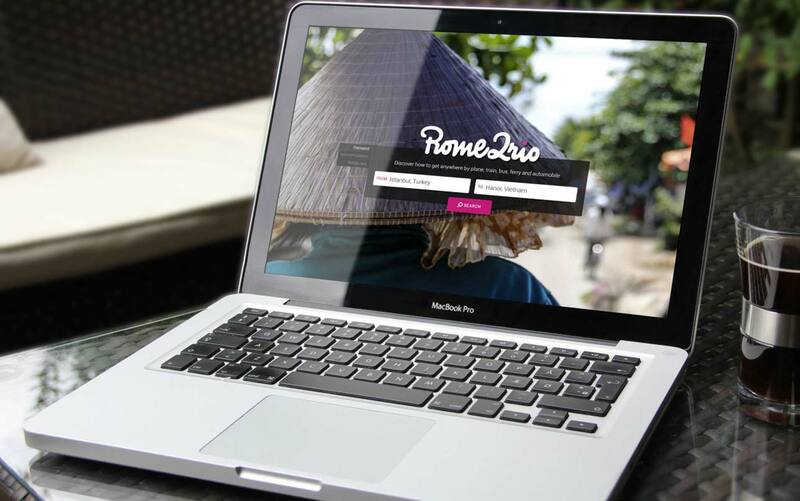 In addition to the site’s tools, Rome2rio offers expert tips for planning and getting the most out of your overseas adventure. Rome2Rio equips travelers with tactics for researching destinations and planning and booking a trip while staying on budget. Whether it’s a South Seas Islands getaway, a grand tour of fine art museums, or a bike ride through rural villages, early preparation and financial forethought will help eliminate the uncertainty of travel and transform every trip into a once-in-a-lifetime adventure. Kirsteene Phelan is passionate about travel. It’s part of her job as Acting CEO of Rome2rio, but it’s also something she loves to do. Everywhere she goes, she makes it a point to seek out art, local cuisine, and cultural events. When she went to Japan, for example, she couldn’t help but visit the James Turrell art exhibit on the island of Naoshima. Kirsteene Phelan, who serves as Rome2rio’s Acting CEO, shared her travel expertise with us. Phelan was able to access this exclusive experience thanks to her expertise and savvy as a seasoned traveler, so she’s shared a few premium tips on getting the most out of your vacation while making it as hassle-free as possible. And Rome2rio offers valuable resources every step of the way. Say, for example, you want to travel from Tampa, Florida, to Krakow, Poland. Rome2rio can help you find the right flight and provide directions for getting to the airport. Once you’ve arrived at your destination, Rome2rio can also help you get to your accommodations and take full advantage of the various transportation options abroad. “It might be that we suggest you fly into Rome and then you catch a train because it’s going to be quicker or it might be cheaper or more flexible,” Phelan said. Rome2rio’s travel guides let aspiring travelers preview popular destinations, attractions, and other sites of interest around the world. These guides can help globetrotters pick their destinations and the things they’d like to see and do while abroad. Once they know where they’re going and how they’ll be spending their time, they can buckle down and start planning a specific itinerary. To simplify the planning stage, Rome2rio users can book tickets, rental cars, and rooms from the site, then get an estimate of how long the trip will take in total. 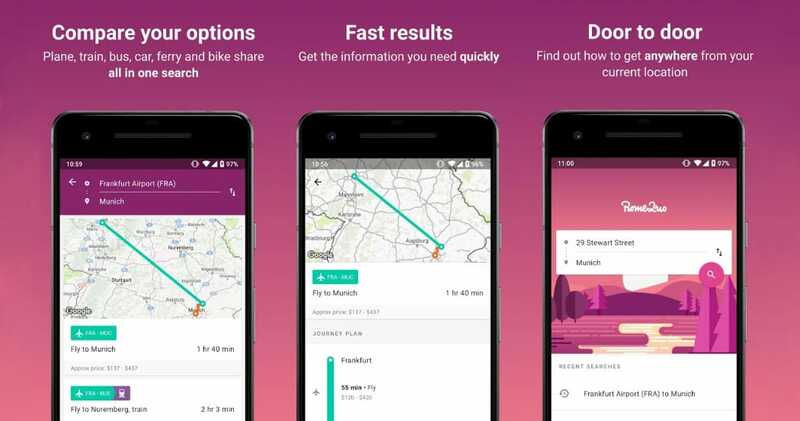 Rome2rio helps travelers discover efficient and cost-effective transportation methods and routes between destinations, whether they’re continents away or within the same city. Let’s say you want to go to Rome, but flying directly into the city can be upward of $300. Instead, you may find that landing in Turin would only cost $100, so you’d just need to take a brief train ride into Rome. Rome2rio can help you plan all of that as well as how to get around and where to stay once you get there. If you wanted a hotel with a view of the Coliseum, for example, Rome2rio helps you find and preview all the accommodations that meet that criteria along with prices right on the website. Phelan said she has noticed that the more research travelers can do before a trip, the more likely they are to save money and enjoy unique experiences. Wherever a traveler chooses to visit, she recommends researching shoulder season – the time of year when residents are going on vacation. This helps ensure a visitor is able to interact with the locals instead of other tourists. Another scheduling factor is the type of experience a traveler seeks. Is it a beach vacation, a cultural encounter, or something else? It’s advisable to choose a season with weather favorable to the desired activities but with a low volume of fellow travelers. Another trick for avoiding crowds is to consider alternative stops that offer similar features but haven’t yet become bustling travel destinations. Stepping outside the well-trodden tourist trails can make for a new and novel experience without the hassle of teeming crowds. Fewer visitors can also translate to better prices on accommodations and attractions. Researching and booking early allows travelers to take advantage of these lower priced, lesser-known destinations. In some cases, it can also open the door to exclusive attractions and events that tend to sell out quickly. One of the best investments a traveler can make, Phelan said, is in travel insurance, which typically covers the cost of trip delays, cancellations, and interruptions as well as baggage damage and loss, medical expenses, and other issues. Luckily, many credit cards already offer travel insurance, but if yours doesn’t, Phelan said it can be a wise investment. She also suggests travelers start saving money early. Whatever can be put aside for the trip should be, even if it’s only a few dollars each month. If you want to make the most of these funds, consider placing them in a high-interest savings account — and the sooner saving starts, the more time the funds have to grow. By setting money aside early and often, travelers will be better able to plan their overall budget and decide which accommodations and excursions they can afford. Concurrent with saving, travelers should start booking lodging and event tickets early. “Once you’ve booked something, there’s a lot of motivation there to keep saving money so you can pay it off when you get closer to the date that you’re leaving,” Phelan said. Travelers should also begin making currency preparations well before their trip. In some places, they may not even be able to use their credit card; Phelan said that places like Japan, certain Greek Islands, and parts of Croatia and Italy are very cash oriented, making local currency mandatory for anyone traveling there. Another option she suggests investigating is a travel card. This multi-currency card is especially useful on a trip that will take wayfarers through multiple countries each with its own currency. Travel cards can be pre-loaded with local currencies at set exchange rates, making them an excellent value. Are you a traveler like Phelan who enjoys visiting art galleries, admiring the architecture, partaking in the local cuisine, and observing local customs that can’t be found elsewhere? Or would you rather pack a lunch and head out on a bike ride through the rolling countryside? Whatever your answer, decide what you want most for your trip and organize around those activities. Phelan, a foodie who seeks to experience local flavors, illustrated this sentiment with an anecdote from Greece. Prior to her trip, she’d learned of a small bakery that specializes in spanakopita, a Greek savory spinach pastry. Unfortunately, this spanakopita’s availability was extremely limited because the bakery only operates for a few hours each morning. travelers who take full advantage of Rome2rio’s tools and Phelan’s tips can treat themselves to a similarly satisfying experience abroad. By researching, planning, and booking early, anyone can craft exactly the sort of personalized experience that transforms a simple vacation into a lifelong memory and travel into an exciting adventure.